Published in December 2013 (Monthly Review Press, New York, 441 pages), this is a biography of Celia Sanchez, written by Nancy Stout. 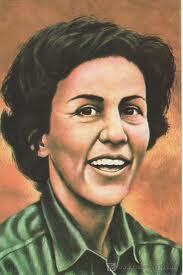 Celia Sanchez was one of the few female leaders of the Cuban Revolution. Little has been written about Cuba’s female leaders. Celia had a close relationship with Fidel Castro. Fidel understood and appreciated that Celia’s great political and revolutionary strength lay in her organizational capacity, as well as her sacrifice and commitment. She was the first female guerrilla — mostly unknown to North Americans. Award-winning author Alice Walker states in the foreword that Celia Sanchez was the extraordinary expression of a life that can give humanity a very good name. She is the medicine for sick societies. Born on May 9, 1920, she had seven siblings. Her mother died when Celia was six. She suffered anxiety from this loss. Her father was a country doctor, who Celia helped in his clinic. Everyday she would talk to his patients, to find out why they came. He was consulted about family matters, heard confessions, and sometimes acted as a marriage broker. He did not expect all patients to pay. Celia did that work for fifteen years. She managed his accounts and soon organized his life completely. He also had a taste for history and a library of many books. He was a political activist who wanted a better future for all Cubans. Celia liked outdoor activities, deep sea fishing, picnics and flowers. Every Christmas she bought toys in bulk to give to children of poor parents. This helped to provide a cover for all the revolutionary things that she did. She was very secretive. She liked sewing and learned how to make patterns. Her lover, Salvador Sadurni, died on June 9, 1937 when she was 16. After that she was inoculated against love. Celia worked with Frank Pais before he died. She said up a network of people to plan the return of Fidel to Cuba. 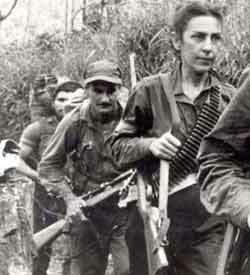 She was also assigned to get Fidel’s men out of the region after they landed. She talked to local farmers, most of whom were against Batista. She was told to select people who did not know each other. They were given basic military training. She played a key role in the landing of the Gramna boat on Cuba’s shore. As a result Batista ordered her capture – dead or alive. Her escape was aided by the fact that she was the granddaughter of Juan Sanchez Barro, one of the richest men in Cuba. Also, Celia had been a beauty Queen. As a result, upper class people offered to hide her. Celia founded an induction center to help assemble, train and house the new recruits to the rebel army. She also found an inconspicuous way to get them food. She was preparing to go into the mountains with the guerrillas when Frank Pais got arrested. She had to take over Frank’s work. Still Celia was the first woman inducted into the rebel army. She considered her time in the Sierra Maestra to be the best time of her life. Celia and Fidel worked closely together long before they ever met. When they met they became inseparable until the day of her death. They had a thriving revolutionary partnership, both devoting their lives to freeing the Cuban people. Celia kept records of almost everything those around her did during the revolution. She said that being a guerrilla was the best time of her life. She began to take care of Fidel in the manner written below. She prepared his coffee, made sure his uniform was clean and tidy, and his boots cleaned and repaired. She was also responsible for making sure that the rebels had enough food. 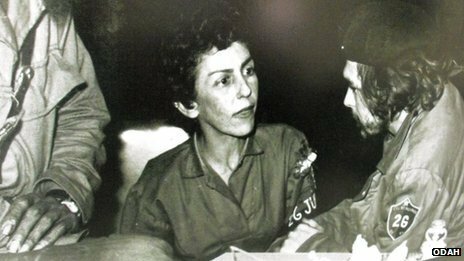 She set up a telephone system so that Fidel could communicate to the front from his headquarters, and set up a chain of couriers. One of their accomplishments was adopting many orphaned children and raising them. together. She helped develop Cuban cigars, especially the Cohiba. She founded the Coppelia Ice Cream Park, the Convention Center and the Lenin Park. She established an official residence for all five members of the rebel junta, Fidel, Che, Camilo and Raul as well as herself. She began working on her archives. She established hotels all over Cuba. In 1969 she concentrated in giving Cubans footwear. She figured out a way to protect gays and lesbians. She died from lung cancer on January 11, 1980. Fidel cried at her funeral. The author talked to many people who knew Celia, both family and friends, to get an overall account of what she was like and her accomplishments. She was definitely a daughter of the Cuban Revolution. All people interested in changing the world should read this book as it shows how this can be done.